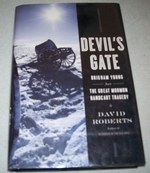 This is a Historical Book of the settlement of the LDS, Mormon religion. This book was written by a Non-mormon!! But very well written, with as little prejudice as possible. Gives a good outlook on the history of the Mormon religion. He gave a very concise history of the Hand cart trips to Salt Lake City. Fair. Book is well read but remains a good reading copy with all of the pages and binding intact. The spine has bends and the cover has wear from reading including rubbing and bends. May have writing or highlighting. Quick response. Like New. 2008. Paperback. Fine. Like New. First Edition. 2008. Hardcover. Fine. Dust Jacket is Fine. Good Condition in Fair jacket. 402 pages. Ex-library with typical marks, faint discoloring to the pages; good book overall. The jacket has light wear; a piece cut from the back; wrapped and taped to covers. 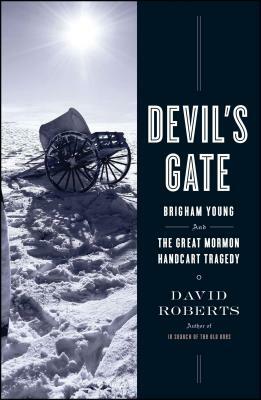 "The Mormon handcart tragedy of 1856 is the worst disaster in the history of the Western migrations, and yet it remains virtually unknown today outside Mormon circles." Quantity Available: 1. Shipped Weight: 2-3 Pounds. Category: American History; Inventory No: 110556.